I entered University of Manitoba in September 2006 and graduated in October 2012. I received a Bachelor degree of Computer Science Honours (Co-op) with three specializations in artificial intelligent, database, and software engineering. 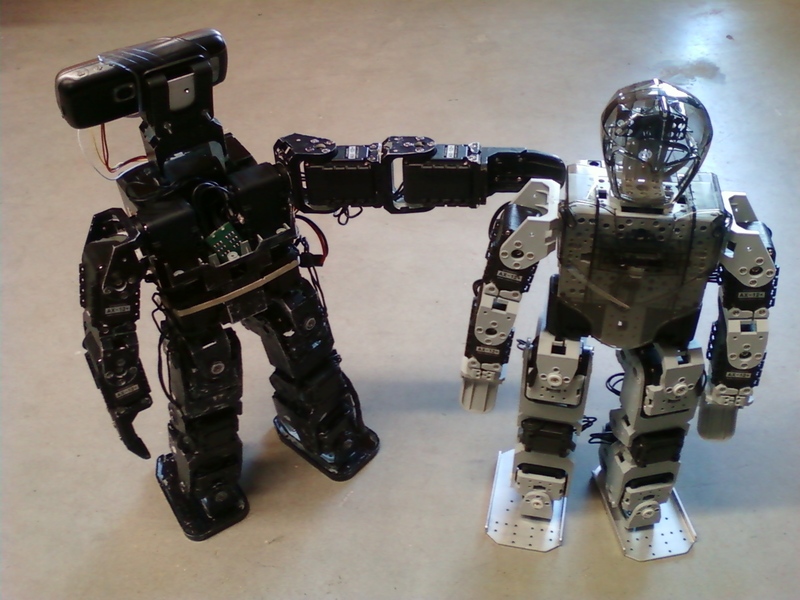 For co-op work terms, I worked in Computational Discrete Mathematics Lab, TaiBotics, and Human-Computer Interaction / Human-Robot Interaction Laboratory. Outside of co-op work terms, I hanged out in Autonomous Agent Laboratory and broaden my research experiences and interests. For an year (third co-op work term, undergraduate honours project, and research assistant) I had worked as a research assistant in Human-Computer Interaction (HCI) / Human-Robot Interaction (HRI) Lab. I was interested in an affective computing and a web application. 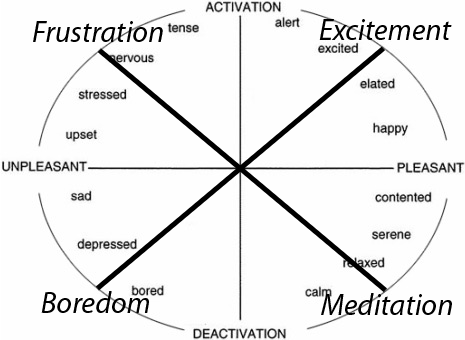 For the project, I had developed a prototype web application that reads people's emotion using Emotiv and changes its contents depends on the computed value via Emotiv SDK. Then, through a user study, I collected how people think about the role of affect recognition in web-capable applications. Stela H. Seo, James E. Young, and Andrea Bunt. 2013. "Exploring the Role of Affect Recognition in Web-Capable Applications." GI '13 Poster Section Proceedings of Graphics Interface 2013. Regina, Saskatchewan, Canada. I developed a program that can record video as well as Electroencephalography (EEG) from the Emotiv. In addition, researchers can on and off various information displays for analysis purpose. Then, I used computed emotion variables via the Emotiv SDK to map current emotion of a user on the 2D circumplex model of affects. Unfortunately, the mapping did not work as we expected and the prototype web-application had some issues such as undesirable modification. On a bright side, through semi-structure interviews in a user study I was able to pull some interesting thoughts. They were introduced in the poster session of GI 2013. Jacky Baltes, Stela Seo, Chi Tai Cheng, M.C. Lau, John Anderson. "Learning of Facial Gestures Using SVMs," Next Wave in Robotics: Communications in Computer and Information Science, 2011, vol. 212, pp. 147-154. Springer. At the end of the second year of B.C.Sc. Hons. 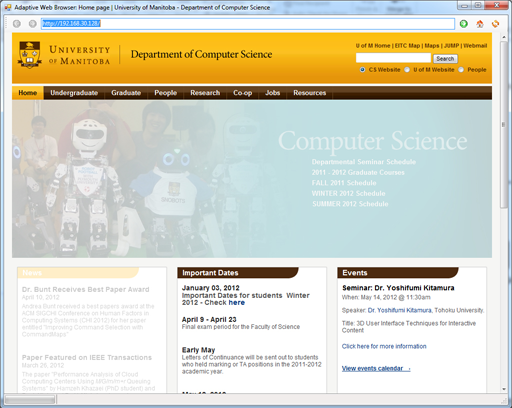 program, I joined Autonomous Agent Laboratory (AALab) in University of Manitoba. As a junior research assistant, I worked under the supervision of Dr. Jacky Baltes and Dr. John Anderson. I helped senior students to build some motions such as walking and to program simple applications. As I started understanding the robot and its embedded system, I modified our robot's design. 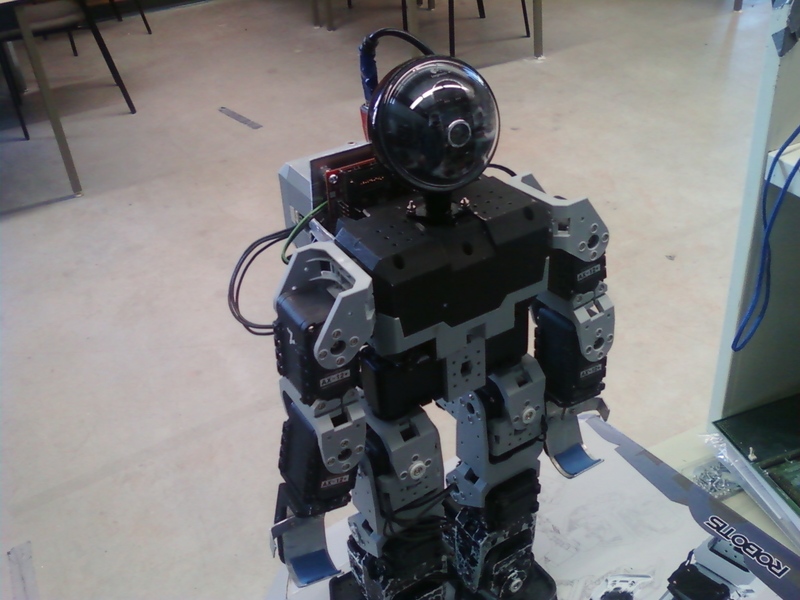 I mounted the robot's camera on the top of its body and the processing boards at the back. 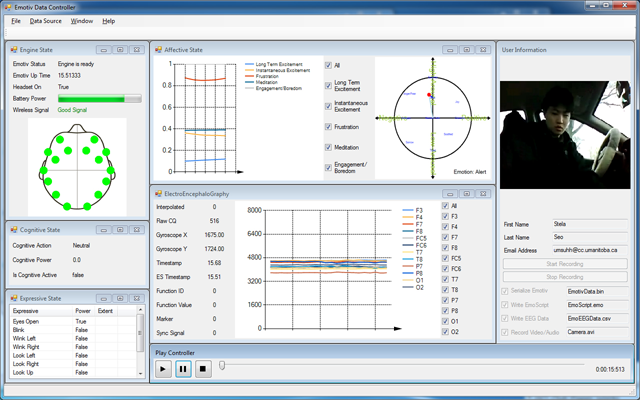 I developed various supportive applications such as parameterized motion generator. 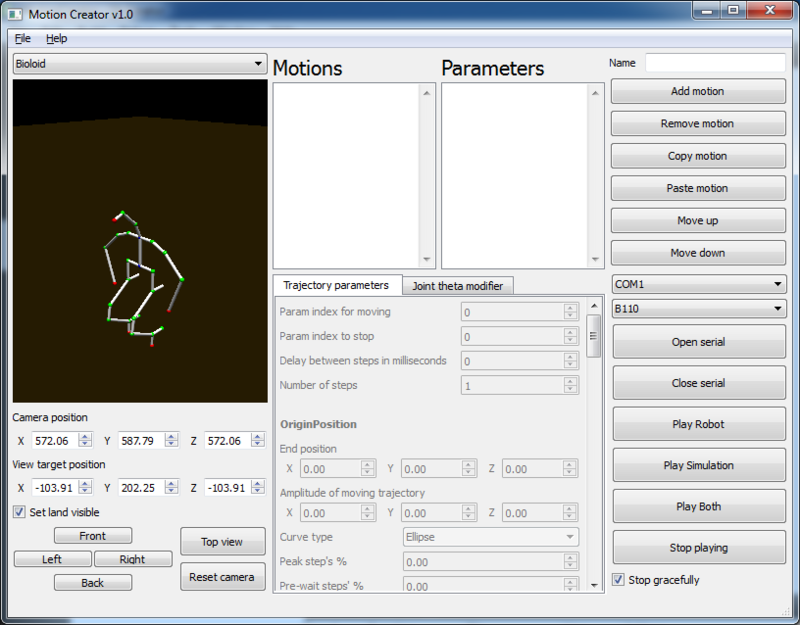 The parameterized motion generator calculates the angle of each joint by taking end-effectors trajectory. Its implementation is based on Denavit-Hartenberg Conversion. From my last co-op work term, for an year (co-op work term, undergraduate honours project, and research assistant) I had worked as a research assistant in HCI/HRI lab. Research detail is explained above. In my second co-op work term, I worked remotely at TaiBotics. As a lead programmer, I rewrote their visual robot-programming software in C# and implemented various additional features. In my first co-op work term, I was hired as a research assistant. I worked with Dr. John van Rees and Dr. Ben Li to prove the next level of friendship 3-hypergraphs using computational approach. In other words, we computed the next step of friendship 3-hypergraphs using computing powers to prove their existence or non-existence at certain number of vertices. I was involved in this project as a junior programmer who helps to code the concept and manage the program to compute friendship 3-hypergraphs. Along the way, I was able to improve the performance of computation using isomorphism theorem. P.C. Li, G.H.J. van Rees, Stela H. Seo, and N.M. Singhi. "Friendship 3-hypergraphs," Discrete Mathematics, vol. 312, no.11, 2012, pp. 1892-1899. Elsevier.